Concepts for a new creativity hub in High Point, NC called COHAB. 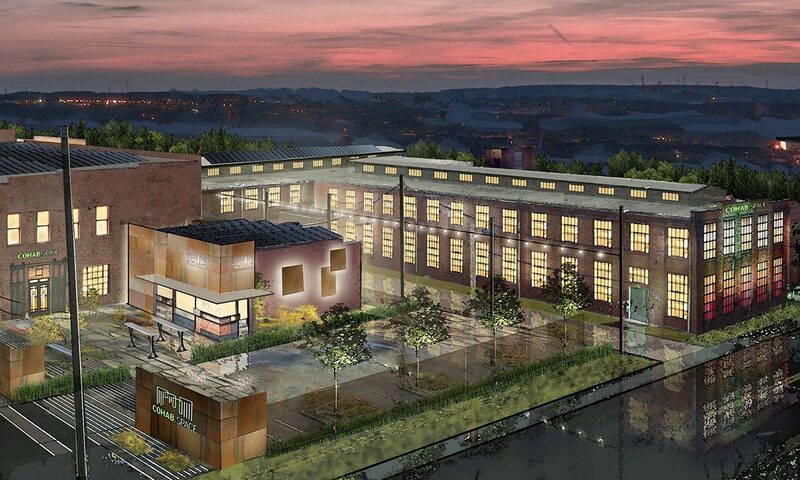 COHAB will be a new co-working and co-living space inside a renovated hosiery mill complex. It’s purpose is to bring together individuals from our region and around the globe to create new ideas and a reinvigorated product manufacturing industry for High Point. There are also plans for a community space, garden, and a cafe. 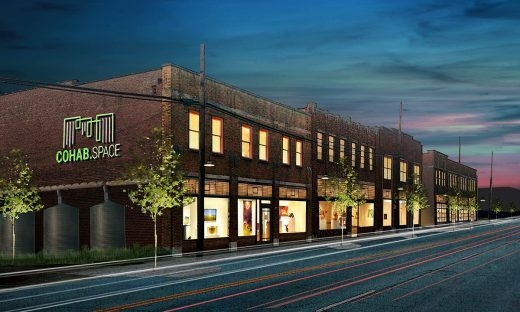 COHAB is High Point’s first co-working space and the only design center of its kind in the world: a bridge between our local community and the global design industry. Under our umbrella, designers, exhibitors, thought-leaders, and community members will intermingle in a creative atmosphere fueled by a shared passion for design. With young and emerging designers in mind, our accessibly-priced apartments, design studios, and showroom spaces will enable those who cannot yet directly participate in the High Point Market to find their connection through COHAB which will become an extension of the Market for attendees in search of new wares. Year-round, our local and international members can liaise with the vast network of production capable co-manufacturers in the High Point area. And the traditional area manufacturers will be drawn into COHAB to offer their services to our resident designers. Interested in finding out more? Visit COHAB’s website here to learn more.